There's a roller coaster at a theme park that's pretty close to my house. The coaster is called Raging Bull, and up until last year it had the steepest drop of any coaster at the park. When you go down the first hill, you shoot into a tunnel and it feels like the earth is going to devour the car and you'll never come back out. It's a long ride to get towed to the top of the hill--something like a minute or longer? The anticipation and fear and excitement build in that funny place in the gut reserved for terror. It's an intoxicating thing, though. 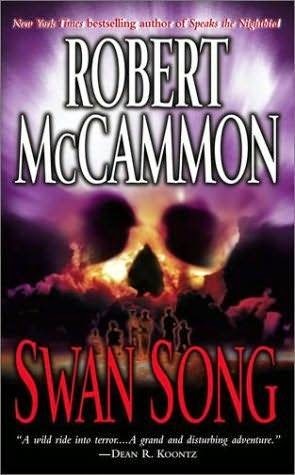 Swan Song read like a roller coaster that only had one hill, and then you just coasted along, lazy river style, through a jungle of cliches and facepalms until you reached the blessed end. I'm just giving this 3 stars because it evenly splits part 1 (5 stars) and part 2 (1-2 stars). Okay, sorry, that was a sadly tortured and mildly mixed simile. I like post-apocalyptic novels. I really like excessively long post-apocalyptic novels. I loved The Stand by Stephen King, and really enjoyed Carrion Comfort by Dan Simmons, and Justin Cronin's The Passage was a great newer entry into the genre. After reading Swan Song, I felt a bit cheated. McCammon pulls so much from The Stand that it's almost humorous. Almost. And yet, while I could see the parallels right away, I still found myself sucked into Swan Song. The beginning was compelling. There is no disease, no Captain Trips, but merely something that was a great fear in the 80s: all-out nuclear war with the USSR. I was born in the late 80s. My first globe had USSR on it instead of Russia, but by the time I was old enough to use the globe, it was no longer accurate. I really had no idea what was going on. I don't remember the Berlin Wall falling or the shattering of the Soviet states. However, I find the time period fascinating ... probably due to my obsession with the film The Hunt for Red October (the book is great, too!). In fact, I had to rewatch that film while reading this book because I was jonesing for some awesome Cold War action. Tensions are at a breaking point between the US and the USSR. One wrong move on either side could mean global thermonuclear war. Well, the President of the United States, a former astronaut whose favorite phrase is "A-OK," finds himself convinced that the US must strike first. 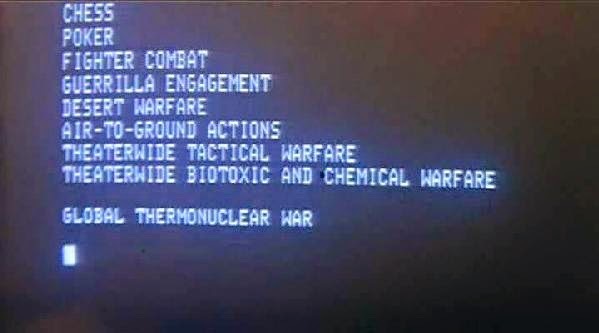 After sending the First Lady and their child to a bunker underneath Washington, he gets on the MCC and starts exchanging a rather esoteric set of phrases with the launch control box. You know, the one that's handcuffed to some suit. Meanwhile, the rest of life in 80s America goes on, mostly unaware of the impending doom flying over their heads in the form of the President's plane. In New York City (this is the scary NYC of the 80s), a vagrant named Sister Creep wanders the streets of the peep shows and X-rated movie theaters preaching about Judgement Day and Jesus. Focusing on the Lord's work keeps her from remembering that night in the past with the blue light, and the man in the yellow slicker, and the child. In Kansas (or thereabouts), Darleen takes her daughter Swan and heads back home after years of living with boyfriends and johns. Swan is sad to leave their trailer, because the garden that she's made grow in the hard-packed dirt won't have her there to care for it. And a family of preppers (I think this was before preppers were preppers, you know?) heads from the Southwest to a bunker in Idaho to ride out the impending nuclear disaster. They seem like they'd be the best prepared to survive, but shoddy workmanship and the leadership of an ex-Vietnam POW with a personality disorder does not make for a bright and shiny future. McCammon's descriptions of the destruction wrought by the bombs and ensuing natural disasters are compelling and scary, and I couldn't stop reading. It's not like in the movies where the main character gets off with nary a scratch, burn, or blister because that would ruin their dashingly disheveled good looks. No. Our main characters: Sister Creep, Swan, Josh (a wrestler and ex-football player), Colonel Macklin, and Ronald Croninger all suffer horribly. 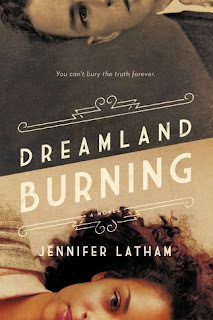 Even six-year-old Swan has her hair burnt off by the blast, and the skin on her face puckered and scarred from burns. Thinking about the whole reading experience now, I certainly don't regret reading Swan Song, but I can see that in the beginning I was swept up in the excitement of a new post-apocalyptic doorstop (one of my very favorite kinds of books!). I trusted that the characters would be nudged along in interesting ways, and that the deeper ramifications of nuclear armageddon would be explored. I could sit here and write a detailed synopsis of the book (not helpful, and if you really want, you can go to Wikipedia or something), but I really just need to work through what went wrong with Swan Song. The story and character archetypes are very, very similar to The Stand, but whereas I always feel an affinity for King's characters, I felt very little about the ones that McCammon created. I know that Stephen King is going to kill off a bunch of characters in his books, but he develops them so well that I'm always devasatated when they die. Vague hints and foreshadowing indicate that many characters in Swan Song will die--indeed, it seems to be a hallmark of this kind of book--but I didn't feel as though I'd be crushed if Josh died, for example. Even though he was Swan's protector and a good man, I didn't feel anything about him. He just was. He also filled the seemingly required role of Magical Black Person (ugh). Swan is, of course, the Chosen One. Out of all the characters, I liked Sister the most, but even her transformation from raving streetwoman to poised leader was rushed and slightly unbelievable. And really, the Man with the Scarlet Eye (who seems to be some sort of personification of death) just can't compare with the Walkin' Dude. McCammon really lost me in part two, when we suddenly skip ahead seven whole years. Dang. In seven whole years, Sister, even with the aid of her magical glowing glass crown and survivalist buddy Pete, couldn't locate Josh and Swan. Neither could the Man with the Scarlet Eye. You know who could survive with them, though? Mule, the horse, and Killer, the psychotic terrier, and Rusty the clown (I am not making this up). Meanwhile, Colonel Macklin, Roland (his henchman), and an ex-drug dealer and prostitute named Sheila Fontana form the nucleus of an army of fanatics. They're not the only ones with this idea, because evidently there are a bunch of armies led by megalomaniacs marching around the West, and they fight each other a lot. The AOE, Macklin's army, engages another force that claims to be marching back east to West Virginia because that's where God lives with his black box and silver key. Okay, after we've spent seven years trekking west, everybody run back east! There are a lot of practical issues that are simply glossed over. How do these armies keep finding ammunition for their guns? How do humans survive seven years of nuclear winter? How is there a large enough supply of canned goods to support as many characters as we're following in this book? How are there PLs (Pleasure Ladies) in the AOE but none of them--NONE of them--get pregnant? Other characters have children after the war, so it's not like everyone's sterile. I guess it would just be inconvenient for kids to be popping up in the army. Oh, and that random romance with the wild boy named Robin (har har har)? That can just go away. I was also disappointed that I was able to guess a lot of the plot twists pretty early on in part two. The book could have been shortened dramatically, because the last two hundred pages just meander around, giving the author enough time to kill off the characters he wants to kill off. From all this, it sounds like I should by all rights really dislike this book. And yet, I don't. It's kind of like one of those disaster movies. Popcorn movie. 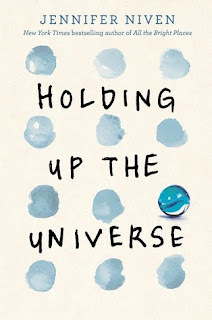 Engaging and fun to read but ultimately not profound. I would just go with The Stand or The Passage instead, but if you need another romp though a post-apocalyptic wasteland, grab Swan Song.